Get in on the success that comes with being a part of the Badcock family. We offer a unique business model with no dealer fee that makes it easier to get started at becoming a dealer so you can bring style and value to your community while enjoying a long-term growth opportunity. "Amazing company with advancement and ownership opportunities." A Badcock & More Franchise can make that dream a reality! Please fill out the form below with all the required information and click on "Submit Request." We will follow up on your request with a phone call, talk you through the process, and then send you a full information packet within two business days. What is the Badcock &more concept? 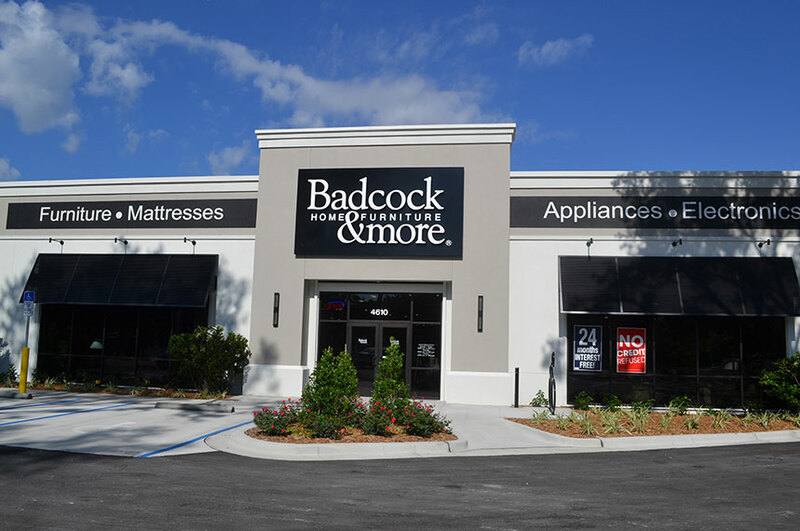 Badcock offers so much more than just furniture. It’s a one-stop shopping location for everything one needs to make their home its best, including decorative accessories, electronics, gifts, appliances, linens and other home accents. Badcock dedicated to offering consumers more products and more selection for a more satisfying shopping experience. What is a Badcock dealership? If you haven’t already visited one of our more than 350 retail home furnishing centers in eight southeastern states, when you do, you can expect to find quality craftsmanship; great values; and friendly, knowledgeable associates. Plus over 75% are Badcock stores are owned by Badcock dealers. Our unofficial slogan is "Badcock makes it easy," and that applies to both our customers and dealers alike. Badcock provides dealers with consigned merchandise, consumer financing, and operational support that allows dealers to own their own business at a reduced start-up cost. How does the Corporation support individual dealers? Badcock is continually implementing new ways to support its dealers’ pursuit of success and involves dealers in the exploration and development of such programs. The Corporation offers comprehensive training and mentoring programs and assists in everything from site selection to store design. It also provides dealers with a wide range of comprehensive support services, as well as free workshops and seminars. What are the benefits of owning a Badcock dealership? The benefits of owning a Badcock dealership include full ownership, yet without the capital expense customarily required to own and operate a business. Badcock dealers also do not have to provide account financing to consumers. These benefits enable dealers to concentrate on selling to customers, while building equity and increasing the value of their business. What is Badcock doing to ensure the success of its stores in the future? Badcock is committed to keeping the focus on the success and profitability of dealer owned and operated stores. Badcock continues to refine and improve site selection and advertising to further increase store success. Not content to rely on past success, Badcock has drastically accelerated corporate reinvestment into the infrastructure to improve efficiency and to position Badcock to capitalize on future opportunities. What kind of capital investment is necessary to open a Badcock dealership? There are no specific capital requirements to open a Badcock dealership. In addition, financing options are available for eligible dealers. For instance, Badcock is listed on the Small Business Association's National Franchise Registry, which will allow dealers to apply for SBA financing. What sets Badcock stores apart from other retailers? The furniture retail business generally allows for more flexibility and a better quality of life that many find preferable to the long hours of food retail and the personnel issues of a service oriented business. For Badcock in particular, the unique dealer model provides dealers with consigned inventory and an in-store financing option for the customers, so the capital expenses are lower. 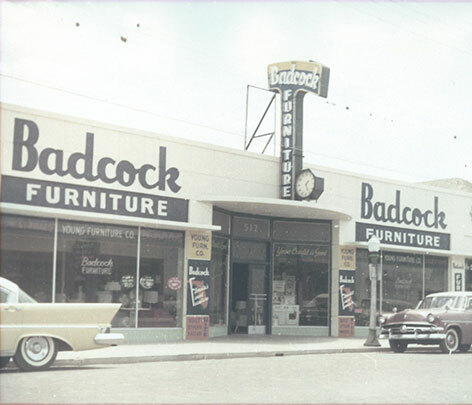 The past 100+ years have proven Badcock as a successful, stable company with a long history of customer satisfaction. Badcock eagerly embarks on a plan of continued growth and modernization that includes further integration of its Badcock &more concept as well as expansion plans throughout the Southeast. Is it possible to invest in a Badcock dealership without being involved in daily operations? Although Badcock prefers owner-operators, investors can act as a financial backer while having a store manager run day to day operations. The investor is, however expected to gain a thorough working knowledge of the business over time.